This teenage romantic comedy takes place in the school obsessed with sport. Yvette (Elani Dekker), Tyler (Christoher van der Westhuizen) and their drama brigade are a tiny arty minority with one goal in mind for their final year: To perform Romeo & Juliet. However, the principal, Mister Kirby Potgieter, decides to cut the arts and culture budget for upgrades to the cricket clubhouse. Desperate to sell tickets in order to save the show, Yvette and Tyler come up with a plan. 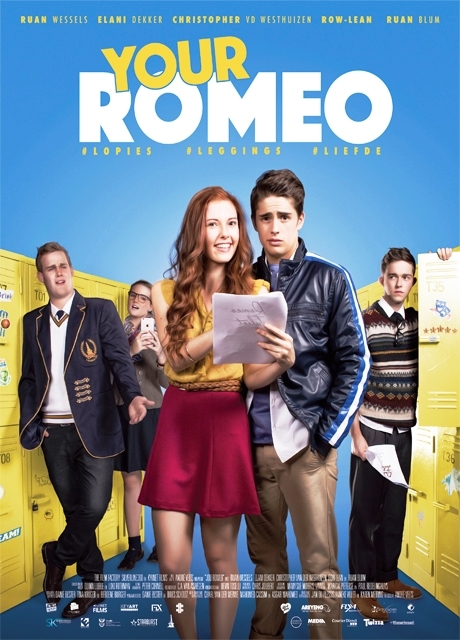 They convince the school’s sport hero and heartthrob, Marko Marais (Ruan Wessels), to play the role of Romeo in Tyler’s place. Their plan works and the tickets sell like hot cakes. Marko is unexpectedly attracted to the pale drama geek, Yvette. She also starts seeing Marko in a different light and begins to think that there could be more to him than the image of a ‘superficial’, muscular jock with a great smile. However, a lie threatens to tear them apart and disrupt the performance too. To get university admission, Marko has to pull out all the stops on the cricket field – while Yvette wonders if Marko just could be her Romeo.